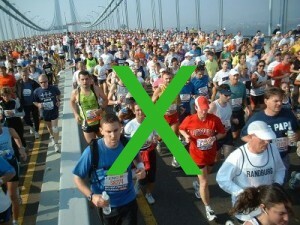 I applaud Mayor Bloomberg and New York Road Runners for doing the right thing for New York City and the Marathon after considering everyone’s opinion as well as logistical information. I spoke with the Mayor’s Office and Road Runners President Mary Wittenberg—a woman for whom I have great respect—and shared my personal concerns, and those expressed by Brooklynites. Mayor Bloomberg and his staff have done an outstanding job of leading our city through these challenging times, and this decision had to be among the most difficult they’ve had to make over the last week. Let’s continue the recovery process and make every effort to return normalcy to our city.